Prospective tablet buyers holding out for Apple's next generation of iPads will have to wait, as the company is reportedly not planning to unveil its 2013 iPad lineup at an anticipated Sept. 10 event. The well-connected Jim Dalrymple of The Loop revealed on Wednesday that there will be "no iPads" at Apple's upcoming event. The keynote is expected to feature Apple's next-generation iPhones, rumored to be called the "iPhone 5S" and "iPhone 5C." Dalrymple's comments were provided in response to an earlier media report that had suggested iPads could be introduced at Apple's Sept. 10 media event. However, Apple has historically kept its iPhone and iPad announcements separate. Last year, the iPhone 5 was unveiled at a media event in September, while the iPad mini and fourth-generation iPad were introduced to the public in October. It's likely that Apple will follow a similar schedule this year, and introduce a second-generation iPad mini and redesigned fifth-generation iPad in October, ahead of the holiday shopping season. Jim Dalrymple's comments assure that there won't be iPads at Apple's iPhone-centric Sept. 10 event, but new MacBook Pros with Haswell processors remain a possibility. The new fifth-generation iPad is expected to feature many of the same design elements as the current iPad mini, including smaller size bezels, a thinner body, and lighter weight. Parts claimed to be for the "iPad 5" have appeared regularly throughout 2013. As for the iPad mini, it's expected that Apple's second-generation 7.9-inch tablet will see an upgraded high-resolution Retina display. 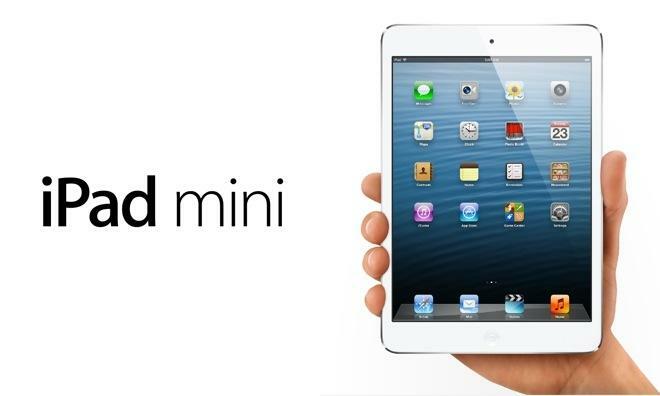 There has also been speculation by well-connected analyst Ming-Chi Kuo of KGI Securities that Apple could additionally offer a low-cost iPad mini, potentially without a Retina display, to allow the company to hit an even lower price point than the current $329 entry price. While Dalrymple's comments assure that there won't be any iPads at Apple's Sept. 10 event, the possibility of new Macs being unveiled at the keynote remains. Most of Apple's Mac lineup, including the MacBook Pro and iMac, are due for upgrades to Intel's latest-generation Haswell processors. The September event is also expected to announce the release date for iOS 7, Apple's next-generation mobile operating system currently available in beta to developers. If prior release schedules hold again for 2013, iOS 7 will likely become available to the public about a week after the event, while Apple's next-generation iPhones will be in the hands of customers on Friday, Sept. 20.